January 19, 2016 | What is the Giveaway? 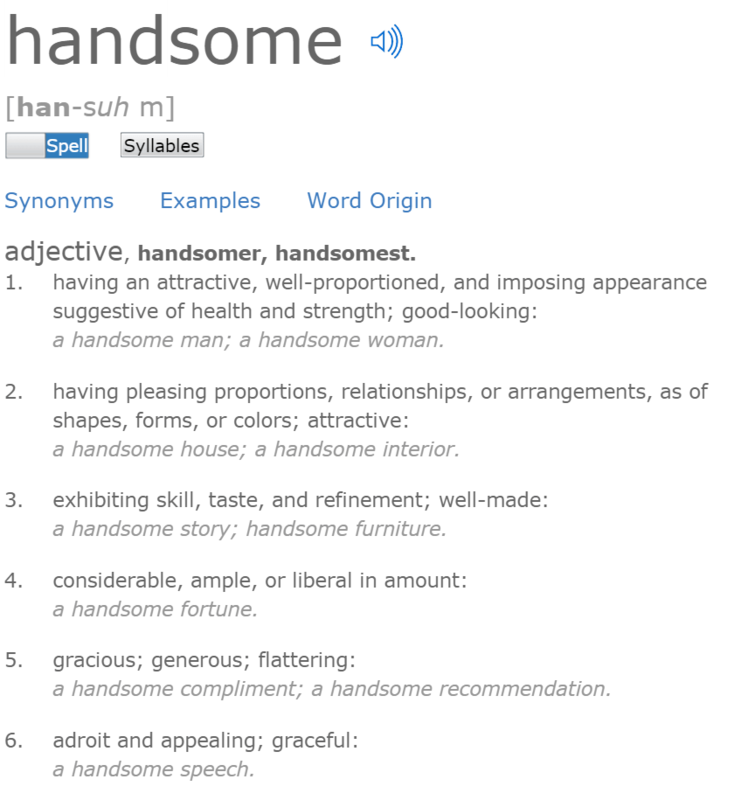 Handsome is a full bodied word with several similar but distinct definitions. 1. Health – Follow me as I set and accomplish health goals to get into the best shape of my life while passing on valuable info for you to use in yours. 2. Relationships – Network with me as I network with you and other so we can utilize the power of the many. 4. Ample – Become an insider and early adopter of my business ventures and marketing pursuits and witness the journey from a little bit to a lotta bit. 5. Generous – Use with me our prosperity to aid those that are in need of a blessing. 6. Adroit – Get a sense of how I think about how the world works and how to best master it. I am pursuing full actualization of this list using this site. Thank you for your help! Be the first to comment on "The Definition of Handsome"
Enter your email address to receive notifications of new posts from Handsome Black.